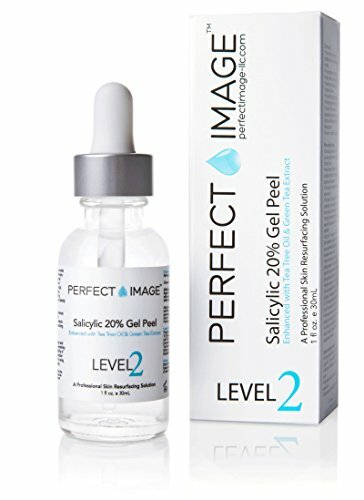 The Perfect Image Salicylic Acid 20% Gel peel is formulated for controlling acne, uneven skin tone, sun damage, visible facial pores, oily skin, whiteheads, and blackheads. It is made from all natural ingredients, which rejuvenate, revive and create youthful skin. Get younger looking skin with salicylic acid gel peel bought from Amazon shopping in Pakistan. Ideal for Breakouts, Blackheads, Hyperpigmentation, Enlarged Pores, Whiteheads, Sun Damage, and Oily Skin types. Helps restore fresh healthy skin by the production of new collagen. Controls Breakouts & Evens Skin Tone appearance by reducing Discoloration caused by the sun or other UV light damage. Sheds off multiple layers of dead skin cells, resulting in a healthier looking appearance. Incorporates a unique combination of performance ingredients and Botanical Extracts which work to provide synergistic anti-inflammatory, antioxidant, anti-bacteria, anti-wrinkle, skin tightening, or naturally nourishing skin benefiting properties necessary to achieve desired rejuvenation results.